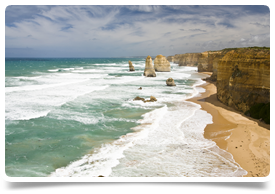 GP required for growing practice within easy access to Geelong and Melbourne, this thriving town has lots to offer GPs relocating alone or with family. The practice is open from 8am to 8pm Monday to Friday and from 9am to 5pm on weekends and public holidays. Situated near Geelong and Camperdown, just under two hours from Melbourne, the area is mainly used for agricultural and pastoral purposes, and is surrounded by many large lakes and volcanic craters.